CARPET EXTRACTION RESTORATION: THE PROPER WAY OF DEEP CLEANING A CARPET. THIS IS A TWO STEP PROGRAM DESIGNED TO DEEP CLEAN THE CARPET. 1) PRESPRAY CARPET WITH A GOOD PRESPRAY OR USE A NON-RESIDUE SHAMPOO IN A SHAMPOO TANK OR PRESSURE SPRAYER. AGITATE CARPET WITH A ROTARY FLOOR BUFFER WITH A CARPET BRUSH ATTACHED. 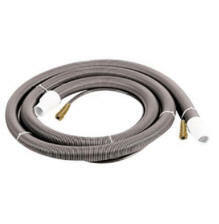 THIS LOOSENS UP THE DIRT THAT IS ON THE TOP AND DEEP IN THE CARPET. LET THE CHEMICAL SIT FOR A FEW MINUTES TO ACTUALLY BREAK UP THE DIRT AFTER YOU SCRUB. 2) EXTRACT THE CARPET WITH A GOOD EXTRACTION CLEANER (LIKE THE CHEMSPEC 90) OR USE A RINSING AGENT (LIKE TEXTILE RINSE FROM CHEMSPEC OR RINSE OUT FROM CELLO). 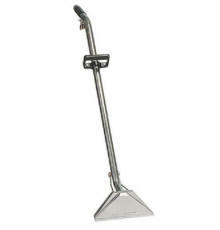 THE RINSING AID WILL FLUSH OUT ALL CHEMICALS AND DIRT FROM STEP 1 AND FROM PREVIOUS CLEANINGS. ONLY GO OVER THE AREA WITH YOUR EXTRACTOR ONCE TO RINSE. THE HEAVY CLEANING HAS ALREADY BEEN ACCOMPLISHED BY THE SCRUBBING. I WILL PUT THIS METHOD UP AGAINST ANY ONE STEP METHOD WITH OR WITH OUT A POWER WAND , WITH A TRUCK MOUNT OR PORTABLE AND COME OUT WITH A CLEANER DRYER CARPET. Which Carpet Cleaning Equipment should I purchase ? These machines are great fro Detailers, Home Owners, Aircraft and Boat Cleaners, Carpet Cleaners and More. Their size makes for easier to transport and store without giving up the power. Carpet cleaning supply, machines and carpet cleaning equipment for carpet cleaners. 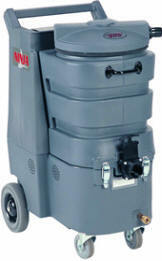 Floor buffers and floor machines for the professional contractor. 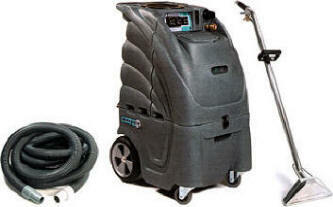 Carpet Cleaning Equipment: Machines And Carpet Cleaning Supply at Discounted Prices. Carpet Cleaning Machines, Equipment, and Supplies.